Looking for just the right gift for that special someone? The Trove Marketplace has a unique collection of eclectic and coastal-inspired one-of-a-kind treaures for all occasions. Gift shopping for birthdays, holidays or just saying “I love you” has never been easier. Choose from multiple collectons of playful and distinctive gifts that are guaranteed attention getters. When you’ve found the perfect expression of your love, we can help with gift-wrapping that adds a festive and colorful exclamation point to your thoughtful and well-chosen gift. Come let us make the shopping as much fun as the giving. Tired of boring furniture that comes in a box? Choosing your home’s furnishings is a form of self-expression. Come discover “the real you” at Trove Marketplace. Prepare to be inspired by our coastal and eclectically-themed furnishings. Trove Marketplace is full of one-of-kind conversation pieces that capture the imagination and express your personal style. Our shop is full of new and antique furnishings including tables, chairs, dining sets, love seats, dressers, cabinets and accent pieces that will brighten any room or space in your home. 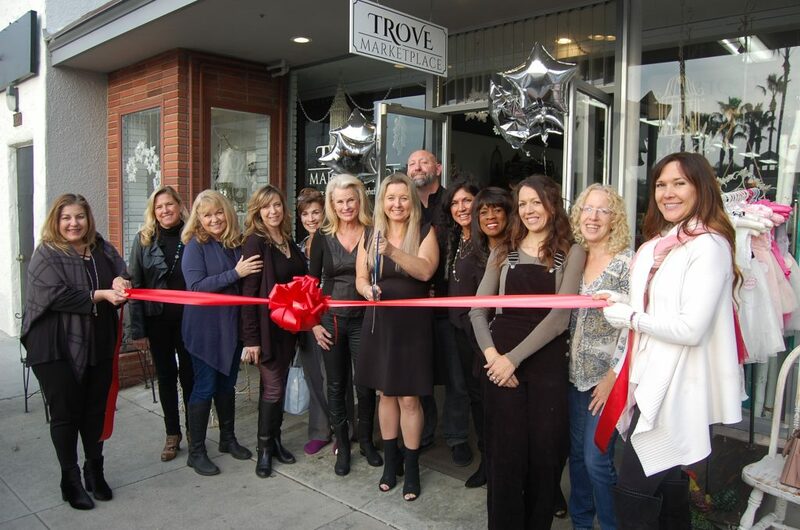 Inspired by north San Diego County’s coastal lifestyle, Trove Marketplace features home decor for everyone from professional designers to do-it-yourself weekend stylists. Prepare to fall in love with our rich collection of eclectic and beachy wall hangings, accent pieces, tabletop features, artwork, plants, antiques and rare oddities that are guaranteed to start conversations at your next home gathering. Make your home fun and stylish and have a great time doing it. You dressed for the occasion now it’s time to adorn yourself. Come in and choose from our collection of one-of-a-kind, eclectic and fun pieces of jewelry that match any style or taste. Our designs are selected or crafted by local artisans to perfectly compliment any outfit or personality. Shop for jewelry at Trove Marketplace and we’ll help you find just the right piece so all you have to do is prepare for the compliments!